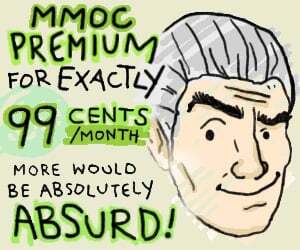 Update - Added the MMO Report and Dark Legacy Comic. 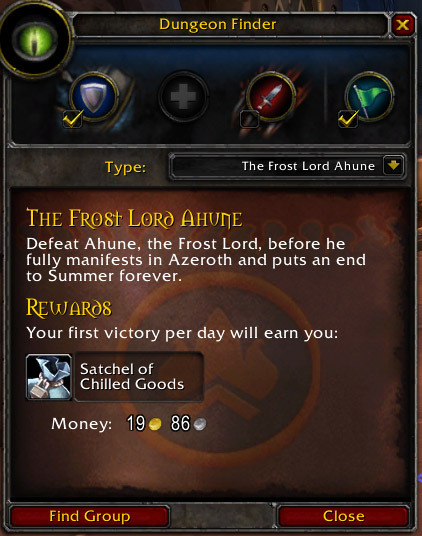 The Midsummer Festival is here and players can now fight Lord Ahune for super easy epics, because we all like super easy epics. You will be teleported to the instance instantly, you then get to kill Lord Ahune once. 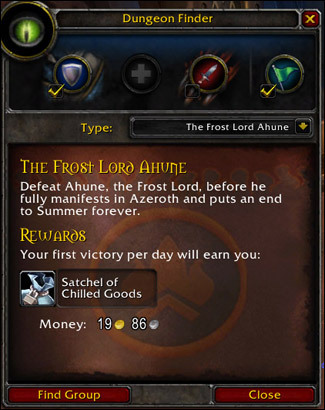 You will get an epic item from his chest (see the loot table) and all the members of the group will be rewarded with 2 x Emblem of Frost from the Satchel of Chilled Goods. 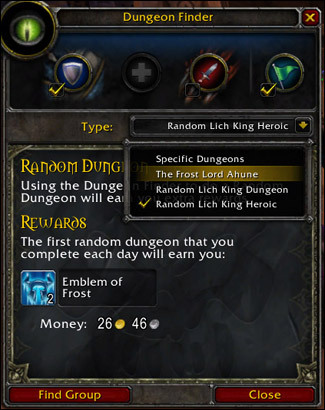 Important - You only get the bag with the 2 x Emblem of Frost from the Satchet of Chilled Goods once a day, but you can kill the boss as many times as you want if you want to farm the chest. Important #2 - The chest only drops cloaks, the bag has a chance to drop rare loot like the Frostscythe and the companion pets. 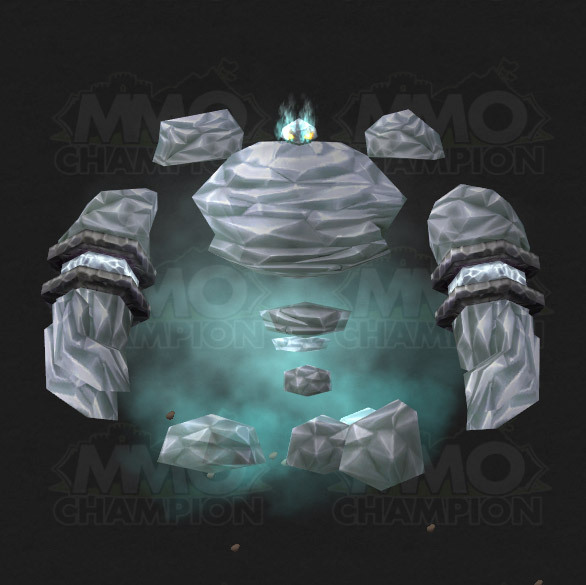 This year's pet is the Ice Chip (Frigid Frostling). This is the first time players get a chance to use the Looking for Dungeon system on a holiday boss. All you have to do to fight Ahune is select the boss from the drop down menu and wait for a group. I skipped last week's episode because of a bug, the MMO Report report is back! Dark Legacy Comic #243 is out! Actually, by doing it on my 7 alts, the Frostscythe can drop from the bag, chest only drops cloaks. And according to others, bag can also drop Scorchling and a new frost elemental like pet. Just trying to find out about the enchant now. If that can still drop, and if it is from the chest or the satchel so I know if it is worth running multiple times per day. It seems you can do the boss as many times as you want. Was able to queue as many times as I wanted without leaving. You could usually do it 5 times a day. I guess they scrapped the quest and let you do it as many times as you want with 1 bag reward per day. The deathfrost enchanting thing just dropped for me so it still drops It was in the chest. I need some confirmation about the Scorched Stone. Does it still drop from the Satchel or only the new pet this year? Sweet. 2 more Frost per day, epics are 232 and I have replaced the cloack with the 264 so I dont care about them, just run it once to get the badges... super sweet! Also the boss is awesome o.o"! I don't know the minimum level, but just did this on a 79 alt and got the 2 Emblems + chance to roll on the epic. What does the use effect do?